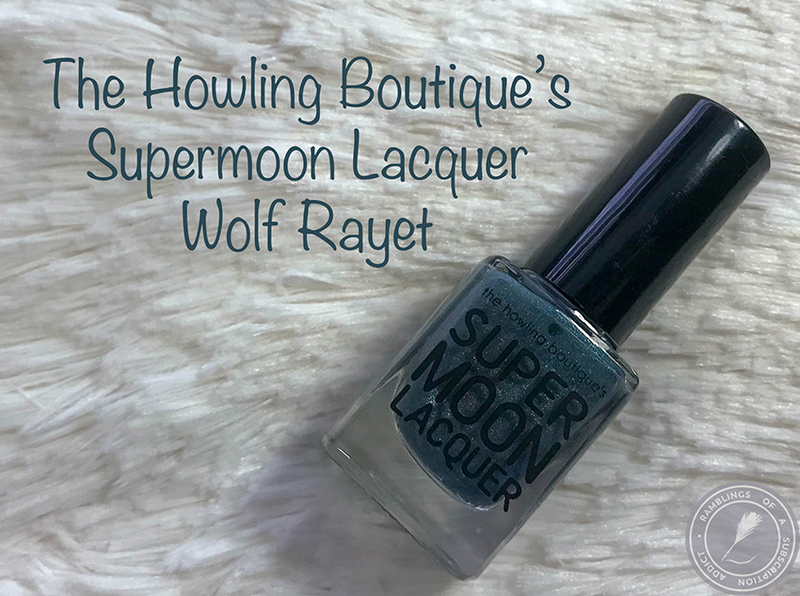 I am an admin for The Howling Boutique's Facebook Group and I also run the Instagram account. I also purchased this at a discount. Find out more info here. 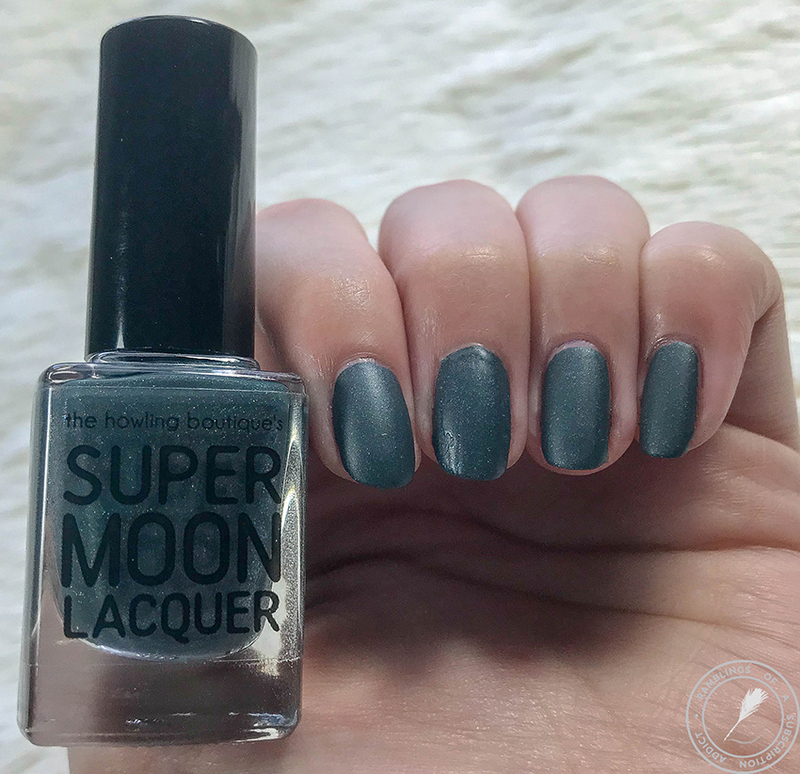 I reviewed this a long freaking time ago here but these are updated swatches. Info is in that post. 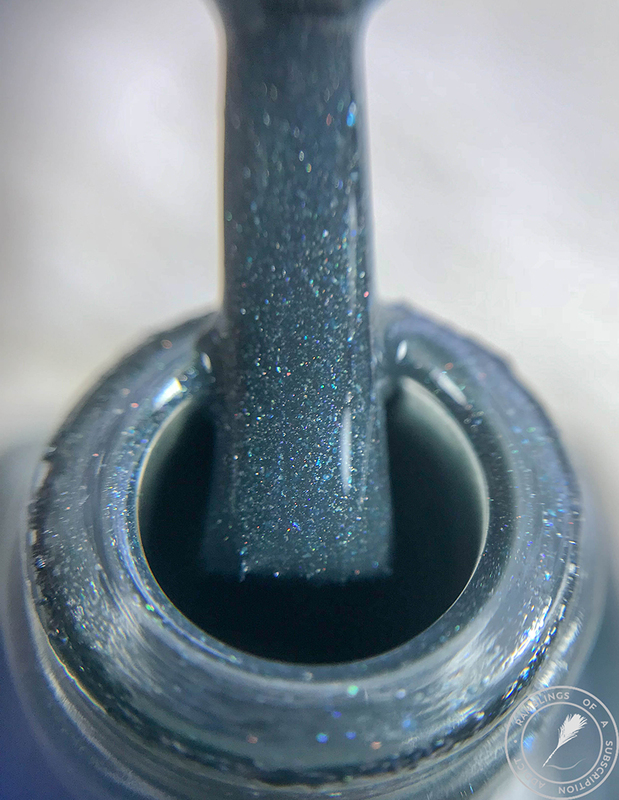 Wolf Rayet is a cool, dark gray base with aqua blue and silver-white shimmer, turquoise micro flakies, and an intense scattered holographic finish. 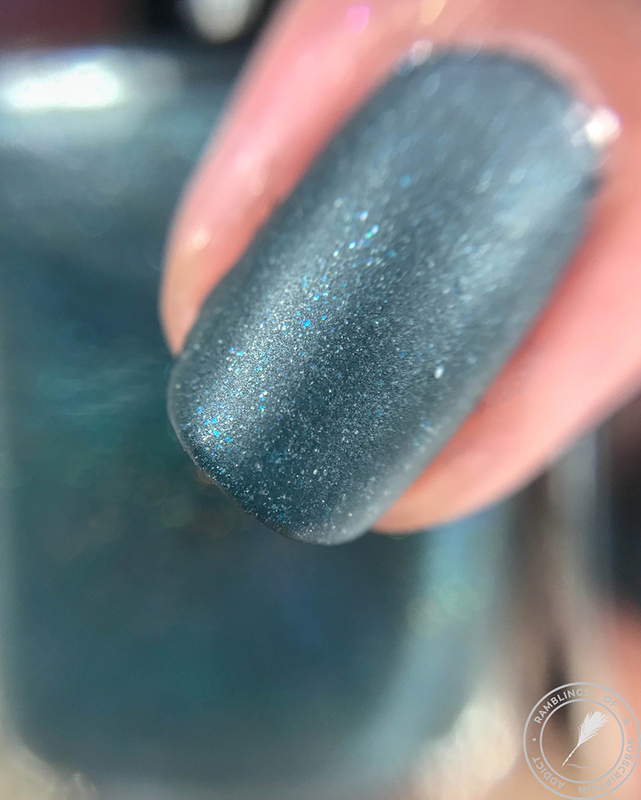 I've already reviewed this once so I've praised the polish once before. That's not going to stop me from doing it again. 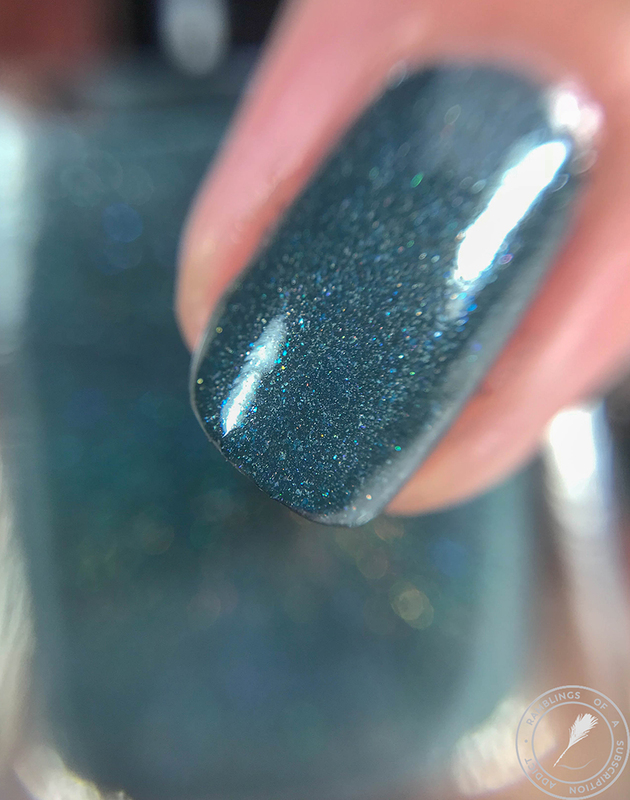 This is a gorgeous polish and if it ever comes back for sale or you find it for resale, grab it. 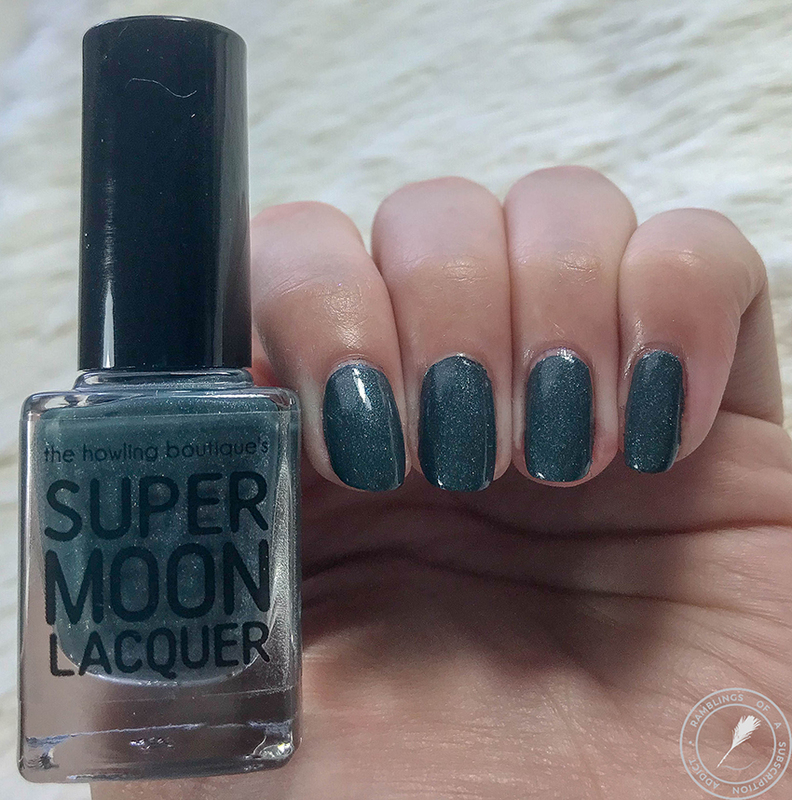 Like many of the Supermoon Lacquer polishes, this is a one-coater. It dried smooth, easily, and without texture. 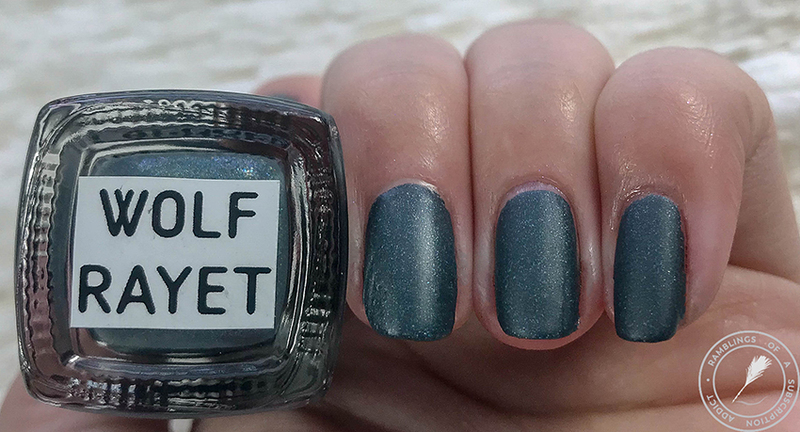 I really like this polish with a matte top coat. 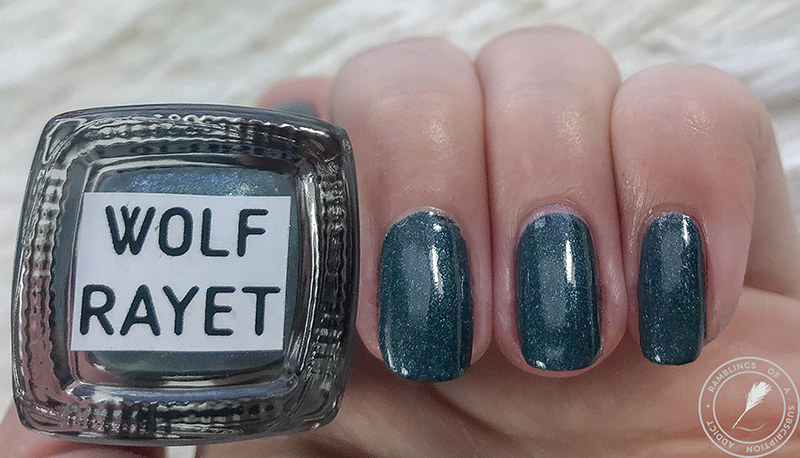 The flakies really show through and it's just overall a really pretty polish. Coats for Opacity: One coat.